If you have been arrested and charged with cocaine possession, the penalties you are facing may surprise you. Cocaine possession is an indictable crime in New Jersey. This means that you are facing state prison time if convicted. Under most circumstance, possession of cocaine is a third degree crime. There is a presumption of non-imprisonment for third degree offenses for first time offenders. You lose that presumption with prior convictions. Nonetheless, if convicted you will have a record. Our job is to do our best to make sure that does not happen. In New Jersey, possession of cocaine is a third degree indictable offense. The degree of the crime increases depending on the quantity of cocaine in question. The case will be handled in Superior Court at the county level. 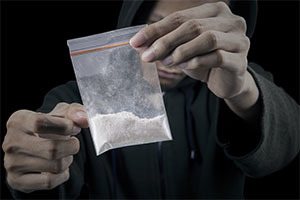 If you are charged with possession with the intent to distribute 5 ounces or more of cocaine it is a first degree crime. If convicted you could be sentenced to 10 to 20 years in state prison and up to $500,000 in fines. Possession with the intent to distribute less than 5 ounces but more than half an ounce of cocaine it is a second degree crime. Here, the consequences are still harsh and you could be sentenced to 5 to 10 years in state prison. Possession of less than half an ounce is a third degree crime resulting in fines of up to $75,000. As evidenced above a conviction for possession of cocaine will result in severe consequences. However, if this is your first offense, an experienced lawyer may be able to minimize the criminal consequences stemming from these charges. You may be able to avoid a term of imprisonment if you are eligible for probation. In addition, you may be eligible for a diversionary program such as pre-trial intervention or drug court. Contact LS&P Lawyers to have your questions answered. The NJ criminal defense attorneys at our firm are eager to assist you. We will work avidly to defend you in the New Jersey courts.